“We are offering specific suggestions for a meaningful and welcome down payment towards the needs of our public schools and are ready and willing to work with the governor and Legislature to make this happen,” Foreman said. On Saturday at the March to Save Our Schools and Support Public Education in Arizona, speakers including House Minority Whip Rep. Charlene Fernandez, D-Yuma (District 4), Rep. Doug Coleman, R-Apache Junction (District 16) and 2018 Arizona Teacher of the Year Joshua Meibos will call for improved school funding as well. 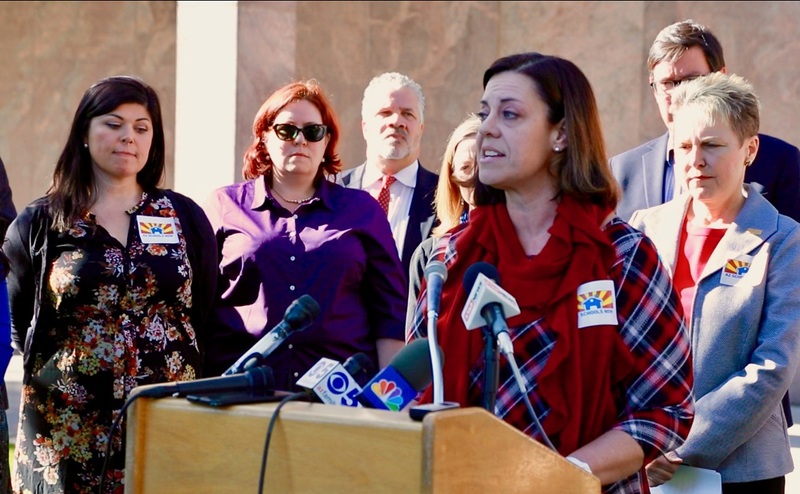 “Of the $1.5 billion dollars slashed from public schools during the Great Recession, more than one billion is still missing,” said Beth Simek, president of the Arizona Parent Teacher Association. Simek said her oldest son has spent nearly his entire time in school in underfunded classrooms, and she doesn’t want her youngest son to go through the same experience. “An entire generation of kids — my kids, your kids, our kids — have had to ‘make do’ with overcrowded classrooms, outdated textbooks and technology, a loss of critical support staff such as reading specialists and guidance counselors, and even a loss of the most basic and vital tool: a classroom teacher,” Simek said. More than 2,000 people are expected to attend the March to Save Our Schools from 9 a.m. to noon Saturday on the Arizona State Capitol’s lawn organized by Save Our Schools Arizona, Arizona Parent Teacher Association, AZ Schools Now, Children’s Action Alliance and One Arizona that will feature information, resources, live performances from Phoenix Afrobeat Orchestra and Ballet Folklorico, food trucks and bounce houses. The march will show elected officials that Arizona voters value public education and want to invest in public schools and the state’s future, and show attendees how advocates will work to increase funding for public schools, said Dawn Penich-Thacker, communications director for Save Our Schools Arizona. Education continues to be the number one issue facing the state, according to two recent surveys of Arizona voters. 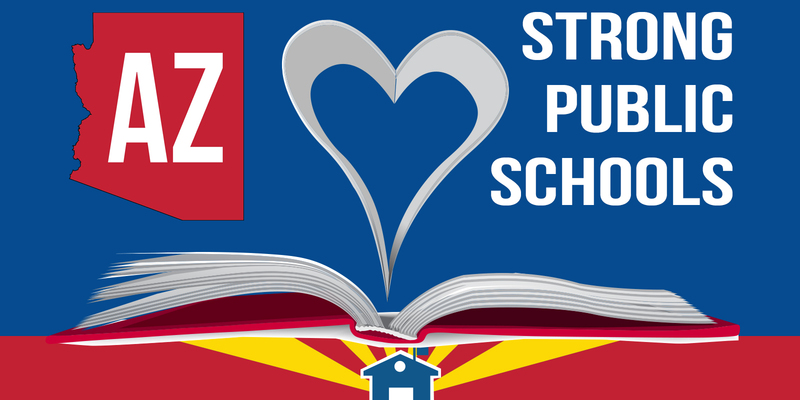 Seventy six percent of voters surveyed said that too little funding is going to K-12 public education in Arizona, and 86 percent said teacher salaries are too low, according to a December 2017 survey of 600 Arizona voters on behalf of Expect More Arizona. President and CEO of Expect More Arizona Christine M. Thompson said she is encouraged to see that voters statewide continue to support Arizona’s teachers and students. “Voters in Arizona have spoken loudly this past year by passing more override and bond elections than ever before,” Simek said. Seventy-eight percent of voters surveyed said the state should be spending more on Arizona’s public schools to provide students with a quality education, and 63 percent said they would vote for increasing taxes in order to provide additional funding for Arizona’s public schools, according to a December 2017 survey of 500 Arizona voters on behalf of Stand for Children Arizona. – Originally posted by azednews.com on 01/03/2018, written by Lisa Irish.